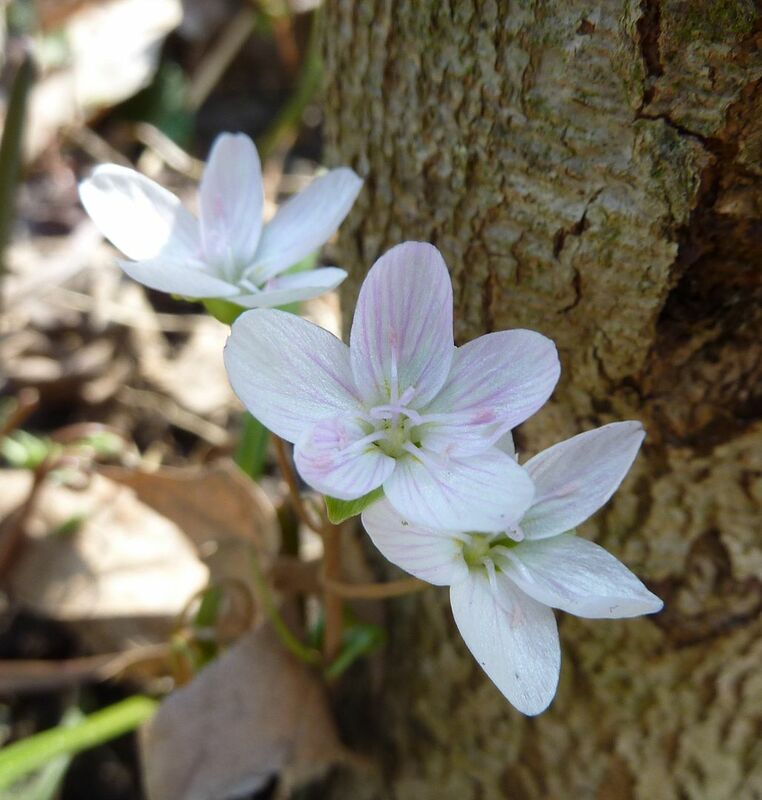 So some of the spring wildflowers are blooming here in New Jersey, a good month or so earlier than usual I think. While I have lots of Daffodils, and Hyacinths blooming I feel devoting time to photograph them is a waste of time. Go ahead and google search them yourself or go look at your own garden or neighbors. Chances are someone around you has them. Crocuses are the only bulb that I feel are worth photographing just from the effect they create when blooming and from the fact that bees occasionally work them. I'm eventually going to transplant them all into a circle around the bird feeder. This started as a mixed pack of 50 bulbs, and here we are four years later. 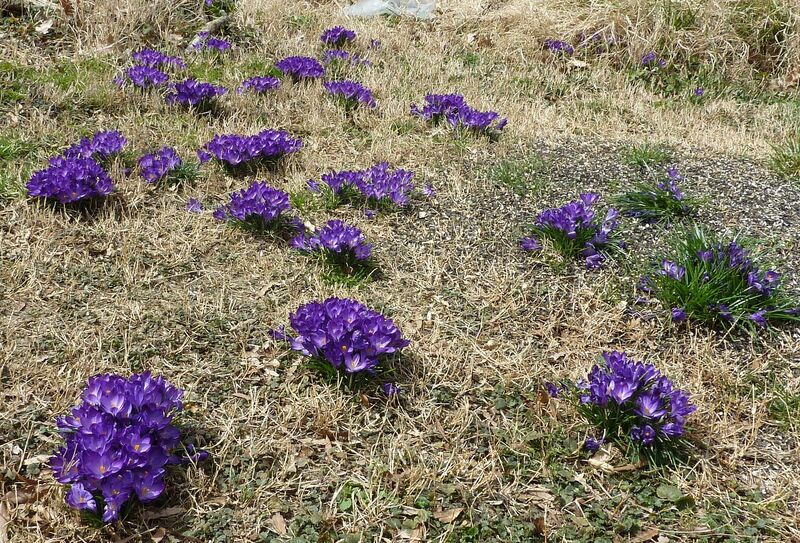 The purple ones dominated, and have since multiplied themselves a dozen times over. I love the way the purple contrasts the almost yellow tone of the dormant grasses. It's very eye catching for most of the day. Sadly the same proliferation isn't happening with all of my natives. 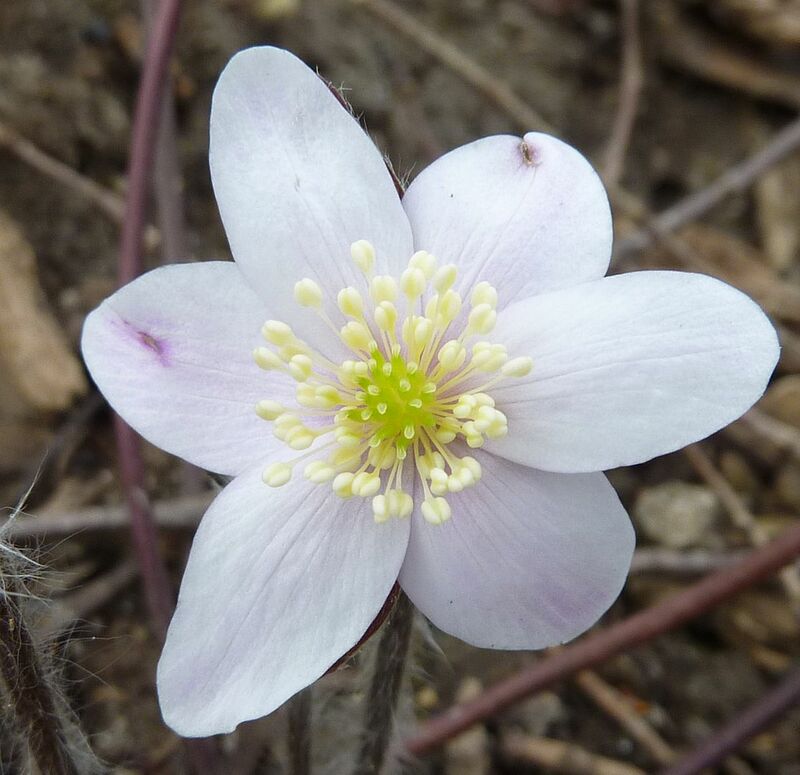 Here is a Hepatica and it's the only one to flower this year. I started with three plants and this year they're not doing so well. Of the three, only 2 of them flowered last year, and now only the one is flowering. Very odd. I love this close up I got. 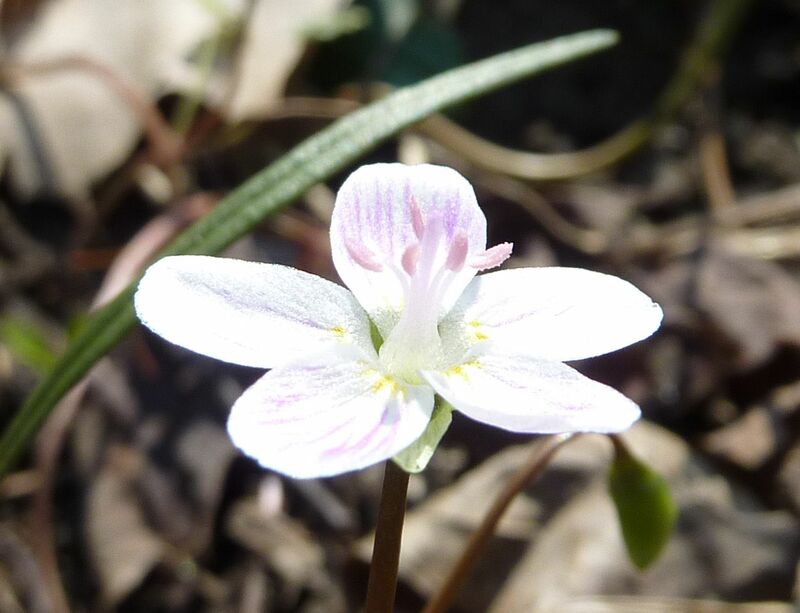 Spring Beauty, Claytonia virginica, on the other hand is doing better than last year. I forget how many I initially planted but it had to be a dozen or 15 or so. 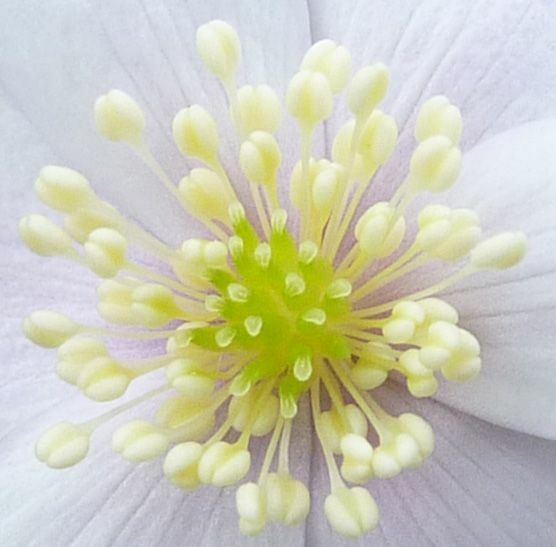 This year each seems to have more flower buds, and I want to say some have even divided underground. I have the Spring Beauty planted under the Eastern Redbud which is also going to flower this year. The idea was to have various shades of pink all happening at the same time. 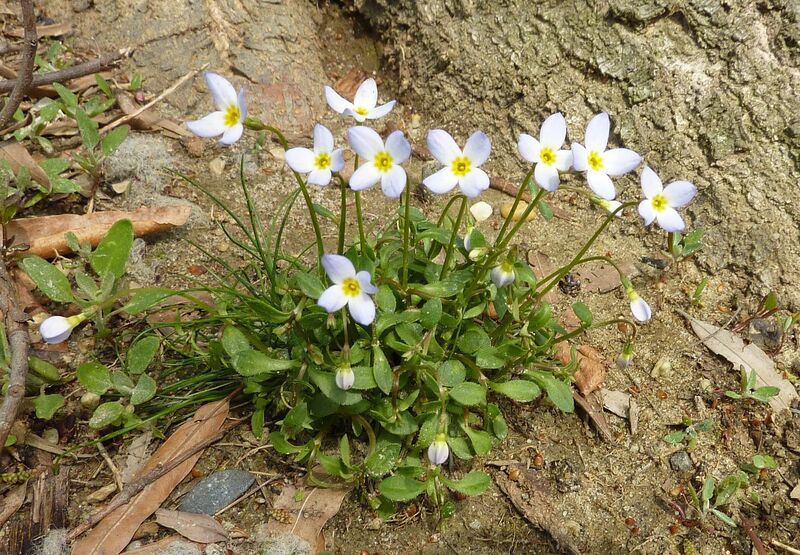 Mixed in with the Spring Beauties, (and in a few other places,) were Bluets, Hedyotis caerulea. Unfortunately I'm not sure if they made it through the winter, which would be odd because I planted them the fall of 2010 and they survived that winter to flower in 2011, however the foliage went dormant over the summer. I'm starting to see little leaves come up that "might" be them but frankly they look like newly germinating plants even at adulthood so it's hard to tell. Hopefully they come back! I would love for natives like these to just take over my lawn.